Leslie A. Lindsay has combined her professional expertise as a registered nurse with her personal experience as the mother of a “sweet, fun and beautiful” daughter with apraxia to create a comprehensive, supportive, straightforward tool for other parents needing to learn about this neurological motor speech disorder. There are no concrete statistics on how many children in the US suffer from apraxia, something Lindsay finds surprising. As she explains, however, there are many gray areas in diagnosing speech-language conditions. Many disorders exist; several co-occur or overlap; and, depending on the specific diagnosis, the cause can be physiological, behavioral, or both. She’s achieved both and more in Speaking of Apraxia, which presents complex medical information related to prognosis factors, speech therapy theories, and treatment plans in clear, easy-to-understand language. 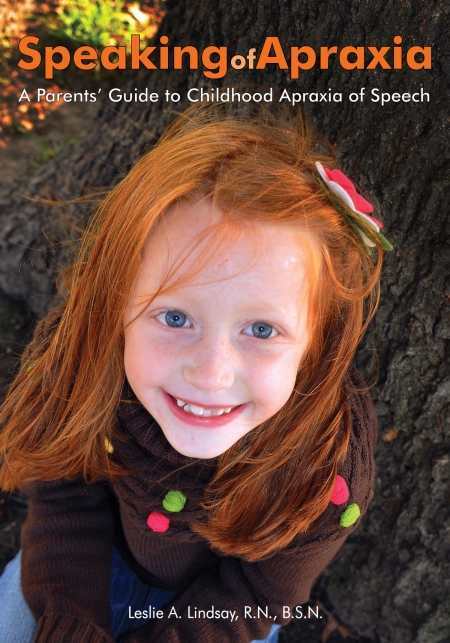 Divided into five sections, chapters range from “When You Suspect Childhood Apraxia of Speech” and “Getting the Apraxia Diagnosis” to “What You Can Do at Home” and “CAS Affects Us All.” A well-appointed appendix provides tips, listings, and advice related to health insurance, summer camps, and speech milestones, among other helpful topics. The book overall is well-structured, and each chapter organized to quickly and concisely deliver main ideas. Key information is highlighted in bold or placed in bulleted checklists, allowing those who prefer to skim than read every word to easily spot and understand main ideas. Woven in between are anecdotes, statistics, and well-researched details that, for those who want to know every nuance and aspect of the disorder, create a detailed picture. The tone is friendly, the voice confident and authoritative and, perhaps the best part, readers really get the chance to know Lindsay as both a mom and medical expert. Anecdotes about her daughter Kate, who was diagnosed with apraxia when she was two years old, are included along with those from other moms. The writing style also makes the reader feel as if he or she is actually sitting there, with Lindsay, having an informed conversation with someone who’s been there, done that, and made it—giving hope to parents of a newly diagnosed child that they can make it, too.